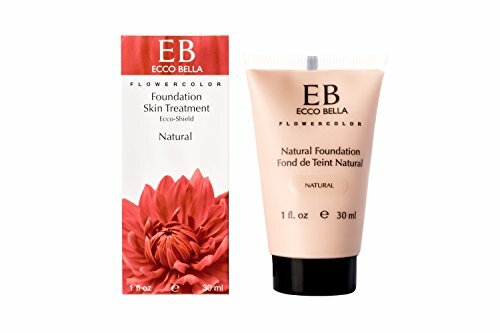 Why we love it: A lightweight foundation with medium coverage that moisturizes, camouflages and offers sun protection. Organic herbs, antioxidants and vitamin E rejuvenate, soothe and protect skin. Non-comedogenic. Apply with clean fingers, a makeup sponge or a foundation brush for smooth, even coverage. Available in 7 shades. Vegan. Cruelty Free. Gluten Free. Paraben Free.